Foamboard White 813mm x 1016mm x 5mm - Acid Free, white matt paper surfaces, high density white foam core - ideal for mounting artworks and model-making. Pasteboard White Cardboard 200gsm 635mm x 510mm - Ideal for artwork - school projects etc. Pasteboard White Cardboard 425gsm 635mm x 510mm - Ideal for artwork - school projects. Middle weight- Quite rigid- Acid free. Pasteboard White 425gsm A4 Pack of 50 sheets - Ideal for artwork - school projects. Middle weight - quite rigid - acid free. 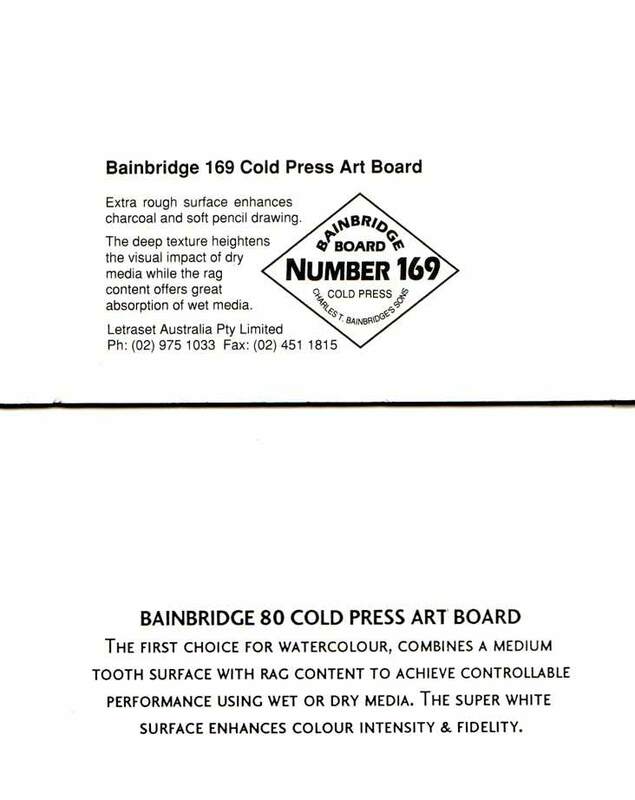 Pasteboard White Cardboard 600gsm 635mm x 510mm - Ideal for artwork - school projects. Heavier weight - very rigid- Acid free. Artboard Rimfire 260gsm 455x650 Pk100 Economical coated high bulk artboard- Ideal for graphic and packaging applications- A true artboard offering excellent strength and rigidity. XL Board Cardboard 210gsm A3 Red Pack of 50 sheets.